World Rebels™ Stoney SS Tee. Printed on a 5.5oz ringspun soft cotton short sleeve tee and contains custom woven sizing label and hem labels. 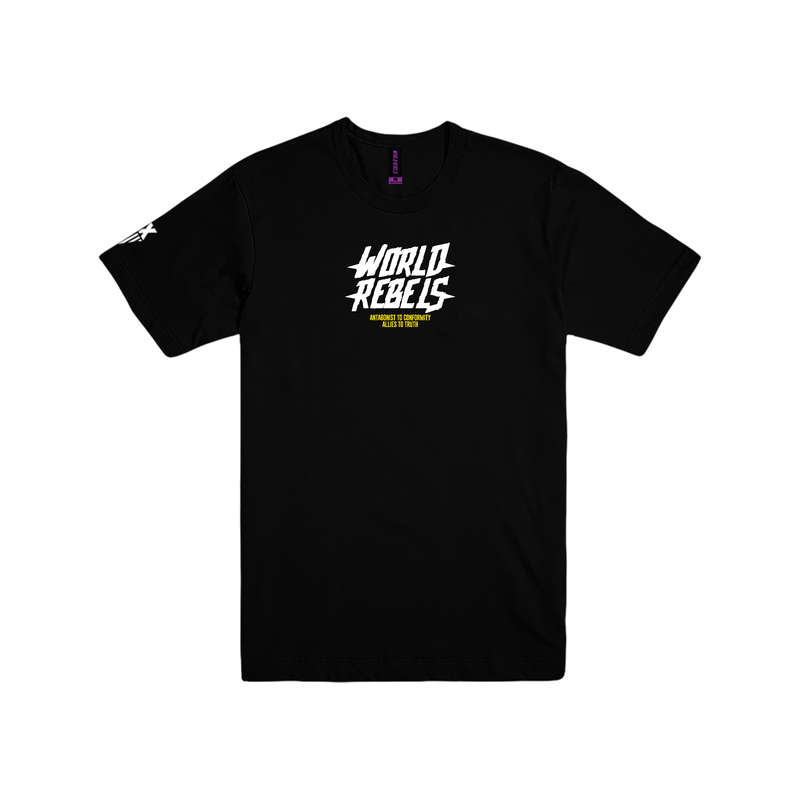 The World Rebels™ Stoney SS Tee in Black contains a center chest print of the World Rebels stone text logo, and the World Rebels™ political flag on the left sleeve, with woven sizing label and mascot hem label on the the sleeve.